I took the time to reflect and think deeply. I reflected on my business goals, the progress of the last few months and the very next steps that I should take. The thing is, I got some incredible new breakthroughs and valuable insights from merely reflecting for a few hours. And I’ve been able to identify and re-affirm my priorities, regain my focus and come up with new ideas that I will execute on. When was the last time you took a top-down view of your goals, business, projects or challenges? When did you step back in order to look at your main thing from a different perspective? Sometimes, stepping away from your main thing for a few hours (or days) might just be much more productive than just blindly hustling with your head stuck in the sand. You might just come up with new ideas, breakthroughs or perspectives that can save you days, weeks or even months of hard work — just like it was the case for me. Nowadays, working hard, hustling and grinding 24/7 is put on a pedestal and glorified everywhere on social media. Although it’s undeniably important to put in the effort and work hard, it’s also grossly overrated in a weird way. The thing is, many entrepreneurs or other high-achievers turn into racehorses who just blindly run and run and run — simply because they think that is the only thing they need to do in order to become successful. Although I certainly respect these hard workers, they usually forget to do something very important. Something which has the potential to save them days, weeks, months or even years of effort and hard work. Something which is critical to their success. If only, every once in a while, these hard workers would take the time to step back from their work in order to critically reflect and think deeply about what they’re doing, why they’re doing it, how they could be doing it much more efficiently — and if their tasks and activities are necessary at all — they would become so much more productive and reach their goals a lot faster. The power of honestly reflecting on your past actions and results is that you’ll gain answers and insights you wouldn’t have gained otherwise. You can analyze if you’re actually running in the right direction, if you’re on-track or off-track with your goal and whether you should readjust or not. Maybe, by thinking critically about your progress and past actions, you come to the conclusion that the tasks you’ve been working on lately aren’t contributing that much to the results you desire to gain. In that case, you’ve gained the insight to spend less time and effort on those activities, outsource them — or even drop them entirely. Maybe you find out that continuously tweaking your website does almost nothing to your sales or audience growth, while it does take up your valuable time. Maybe you come to the conclusion that posting daily on Instagram doesn’t give you any real results except for a few likes. Or maybe you realize that pondering over your new logo doesn’t do you that much good either. In other words, think about what your most valuable results are and what tasks & activities don’t contribute that much to those results, while still taking up your valuable time. For example, in my latest reflection session, I found out that I spent a great deal of time on certain activities that contribute very little to the results I desire. In my case, I’d spent a lot of time on recording and editing YouTube videos, while I hardly gain any views, followers or revenue from YouTube at the moment (in contrary to other platforms). This is not to say that I give up on YouTube entirely, rather it’s that I realized that other content platforms should be my priority at this point in time. If I didn’t take that top-down view of my past actions and results, I’d probably still spent a lot of time and effort on creating YouTube videos, while I could’ve spent that time in a much more efficient way. In other words, by reflecting on your past actions and progress, you become aware of the opportunity costs of certain tasks, activities and projects — and you can readjust your effort accordingly. Another benefit of taking the time to reflect is that you probably come to the conclusion that there are a few tasks, products or habits that are actually leading to the majority of the results you desire. In that case, you’ve gained the valuable insight that you should spend more of your time and effort on these activities — as it turns out to be the most valuable way to spend your time. Maybe you come to the conclusion that calling clients is the most valuable thing you can do, as that’s your primary way of making sales. 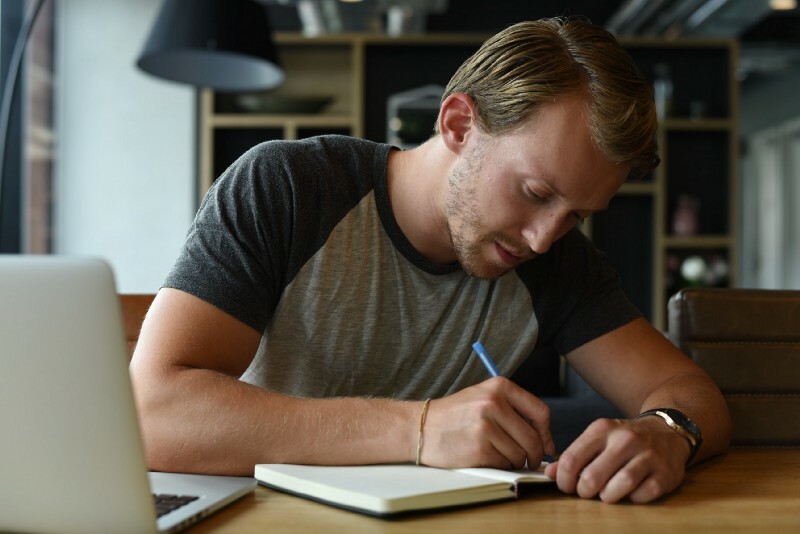 Maybe you realize you should write much more often, as your books or blogposts contribute most to your results. Maybe you find out that you should spend much more time on email marketing, as that’s where you gain most of your profit. I can’t look into your business, projects or goals, but I do know that there are a few tasks and activities that should be your absolute priorities for now, as they contribute much more to your goals and results compared to other tasks. For example, in my latest reflection session, I came to the conclusion that I should focus much more time and energy on Medium, as it’s currently the number one platform that contributes to my results (such as views, audience growth and revenue). 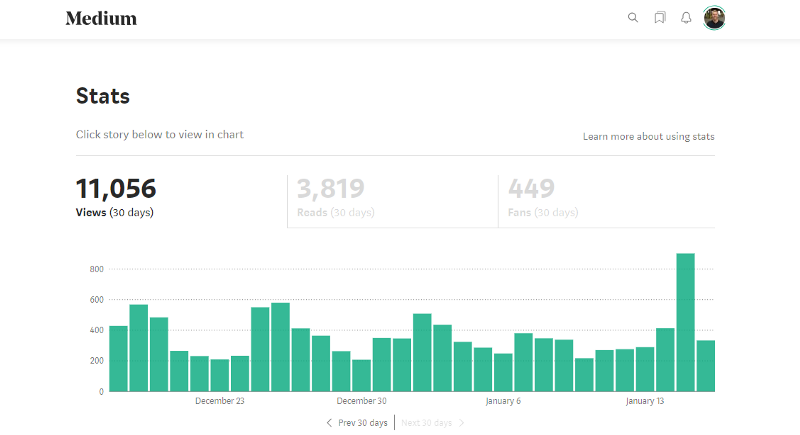 Because of this insight, I set the goal for myself to publish a blogpost on Medium at least 4 times per week. Without taking a top-down view of my past actions and results I probably wouldn’t have realized just how important Medium is to me and my business — and I probably would’ve spent my time and energy on tasks that contribute a lot less to my goals. These results are much better compared to what I get on YouTube, so it makes a lot of sense to focus more on Medium! The truth is, by reflecting and thinking critically about your past actions and decisions, you identify your highest-value priorities and you can set the deliberate intention to focus more of your time and effort on those priorities. By merely taking a top-down view of your goal, business or project you usually find that you should do more of X, and less of Y. This is real productivity. It’s knowing what your priorities are and then focusing the majority of your time and effort on those priorities. This is so much more effective and efficient compared to just hustling with your head stuck in the sand — and it’ll save you days, weeks or even months of hard work. In order to reflect as effectively as possible, I make sure I’m in a quiet environment, I put my phone is out of sight or on flight mode (so the notifications won’t disrupt my thinking) and I keep a journal and a pen close to me to quickly capture thoughts when they come up. Usually, it takes about 5–10 minutes to get into the flow and shake off the random thoughts of the day, so it requires a bit of patience to get started. I don’t really have a fixed process for reflection and deep thinking, but I’ll share the guidelines that I use in order to get the most out of it. Hopefully, you feel inspired to copy some of these steps & questions for your own reflection sessions. What activities/products/people/actions have contributed to the biggest majority of my results over the last few days/weeks/months? What efforts/activities/products/people have consumed my time and energy but didn’t lead to a lot of results (if any at all)? What could I have done better in order to be more productive and focussed? What habits have been essential to my happiness, productivity, focus and energy? What were the blind spots and unforeseen events that happened, that I should learn from? This way, I gather clear answers and insights on what’s currently working for me and what isn’t, and what I should do more and less of in the near future. I usually find that there are just a handful of activities that lead to the majority of my results, and that the majority of my tasks and activities only lead to a tiny bit of the results. In other words, I gain clarity on what my priorities are and where to spend more of my time and focus. What (based on the past) activities/people/products/efforts should I spend more time and energy on, as it leads to the majority of my results? What one thing, if achieved, would lead me to say that this month is a success? What one thing, if achieved, would lead me to say that this quarter is a success? What one thing, if achieved, would lead me to say that this year is a success? Am I currently on-track or off-track with these objectives? What actions are going to be critical in order to achieve those goals? Who has already achieved what I want to achieve? Aka, who can I learn from? It continues to amaze me how valuable the answers and insights are from merely reflecting for a few hours. Therefore, I schedule a reflection session at least once a month (usually on the 1st of the month, and I call them my ‘cloud’ sessions). I always come out with more clarity, sharper focus and it contributes a great deal to my ability to be highly productive. All in all, taking the time to step back and gain a top-down view of yourself, your business, your projects and your goals is critical in order to achieve them as fast and impactful as possible. Get clear on your most valuable results, whether that are sales, followers, views or email subscribers — and analyze which tasks & activities contribute the most to these results. That’s when you really become highly productive. As an action point for this article, schedule your own reflection session in your calendar (or maybe even do it today). It’s probably one of the lowest effort things you can do in order to crank up your productivity levels, yet it has the power to change your entire life.